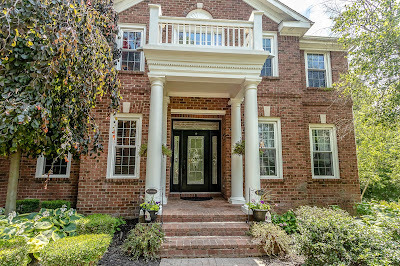 TRULY ONE-OF-A-KIND IN PARKSHORE! Nearly 2 acre lot with wooded ravine, stream and backing to 9 acres of wooded preserve! Over $140K in updates with so much detail and high end finishes throughout. Upon entry you’ll see an open Foyer, French doors to the Den with built-in shelving & an exquisite Dining Room. Huge kitchen with center breakfast island, granite countertops, double sided fireplace & sitting area. Vaulted Living Room with access to the deck and views of the private backyard. First Floor Owner’s Suite with bay window, remodeled Bath with garden soak tub and spacious walk-in closet. Upstairs features a secret Bonus Room, 3 Bedrooms and 2 Full Baths. Completely remodeled walkout lower level with Laundry Room, Guest Bedroom, full Wet Bar, fireplace,(Perfect In-law/Teen Suite) Workshop & more! Near Alum Creek State Park, beach and boating! 4 BRs and 4.5 Baths. 3,900 SF! Olentangy Schools. Only $650,000. Call DeLena Today!